Since the foundation of the association in 2008, SKYLOTEC has supported the inclusive climbing groups of the non-profit association "Ich will da rauf! e.V.". (IWDR). As an inclusion ambassador, the association is committed to the self-evident cooperation of all people. The idea of "Ich will da rauf" is easy to explain: Climbing is effective! Climbing has a positive effect on the climber's body and psyche. Climbing strengthens self-confidence, restores confidence in your own abilities and makes you fit for everyday life. 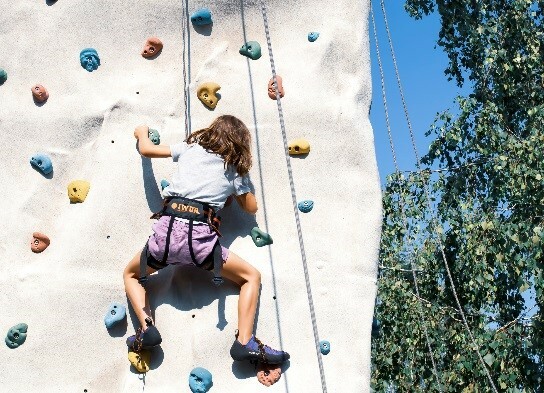 Climbing is the ideal sport to complement various therapies, especially for people with disabilities. It is particularly important to the IWDR that people with disabilities do not climb in special groups and remain among themselves. That's why children, teenagers and adults with and without disabilities climb together in the climbing groups of the IWDR and experience the fun of climbing together. SKYLOTEC is now also supporting the IWDR in a new project. Under the name “Seilschafft Inklusion," other climbing enthusiasts throughout Germany are supported and enabled to found inclusive climbing groups. The IWDR's concept of bringing people with and without disabilities together while climbing is to be expanded to the whole of Germany. Interested people can found a climbing group in their own city with the help of the association. In return, the IWDR passes on its 10 years of knowledge on the topics of climbing with disabilities and inclusive climbing. First and foremost, the IWDR concept focuses on safety when climbing. Additional points are, for example, how climbing groups are put together, or which climbing material is needed. The heart of the IWDR is a manual with tips and tricks with many examples of climbing group organisation. Workshops on the safety concept, the manual, fundraising and public relations are also planned. 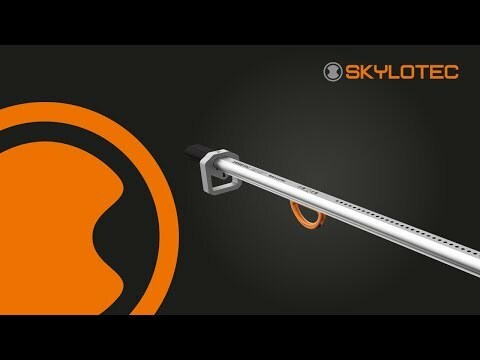 Not only the know-how, but also the climbing equipment of SKYLOTEC can be obtained by the newly founded climbing groups via the IWDR. With the support of SKYLOTEC, the IWDR puts together optimal packages tailored to the user.